My treasure bag of travel memories, pulled out one by one to help others get lost and let go. This is my guide book to living in Chiang Mai and adventuring through Thailand. 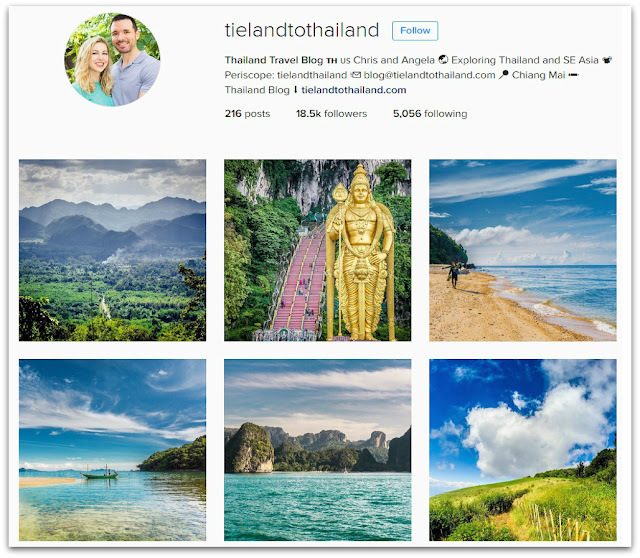 As some of you might know, I've had to begrudgingly put some distance between myself and my beloved Thailand travel blog. The most obvious reason for this is that I no longer live in Thailand, and so my previous inspiration gathered from the delicious food, wondrous landscapes and thrilling adventures has completely dried up... along with my motivation for travel writing in general. Hopefully, one day, I will venture out into the wilderness again, but for now I'm settling for vicariously living through other people's entertaining explorations. So I thought I'd compile a list of all the writers, food-lovers, adventurers, crazies, and perhaps even kindred spirits, who helped me along my own journey, made me smile, made me extremely jealous of the food they enjoyed without me, and inspired me to seek out new paths and places in Thailand and beyond. These are my favourites, their names still popping up in my search bar nearly two years after leaving my special Land of Smiles and All Things Deep-Fried. They are really worth getting lost in if you haven't already! 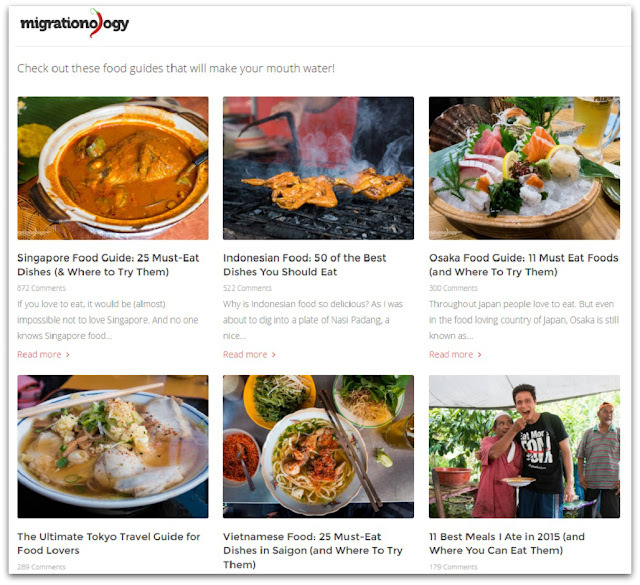 "Food is the reason you should travel"
This was the first food blog I excitedly got stuck into while planning my move to Thailand. Mark must be the biggest foodie in the world, which is also obvious from his other blog Eating Thai Food. He runs Eating Thai Food with his friend Dwight from Bangkok Fatty (yup, that's the guy who stole the best blog name ever). Eating Thai Food is actually where I picked up all sorts of useful food phrases before I arrived, and was extensively reassured that I can happily be vegetarian in Thailand despite all the naysayers (the two meat-loving lads went veggo for an entire month for charity, and chronicled every little morsel they ate - amazing!) If you haven't already symbolically devoured every page on Migrationology, I urge you to do it right now! 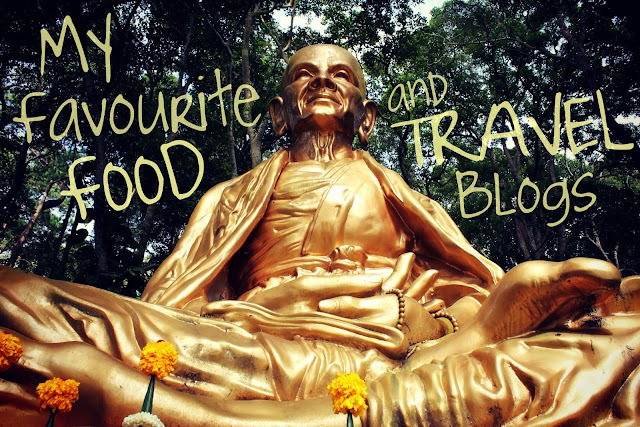 "Because life is short and the world is large"
Another blog from the early days, when the idea of moving to Thailand was still just a festering, giddy idea in my mind. I became more and more interested in their nomadic way of life, gathering all the info I could about Thailand and Chiang Mai. I love their particular tone of writing - they're never condescending and are always on the look-out for new cultural experiences and joys in daily living. The married Brits, Erin and Simon, are sweet-natured, kind and helpful, and never fail to inspire me to experience and enjoy life as much as I can. 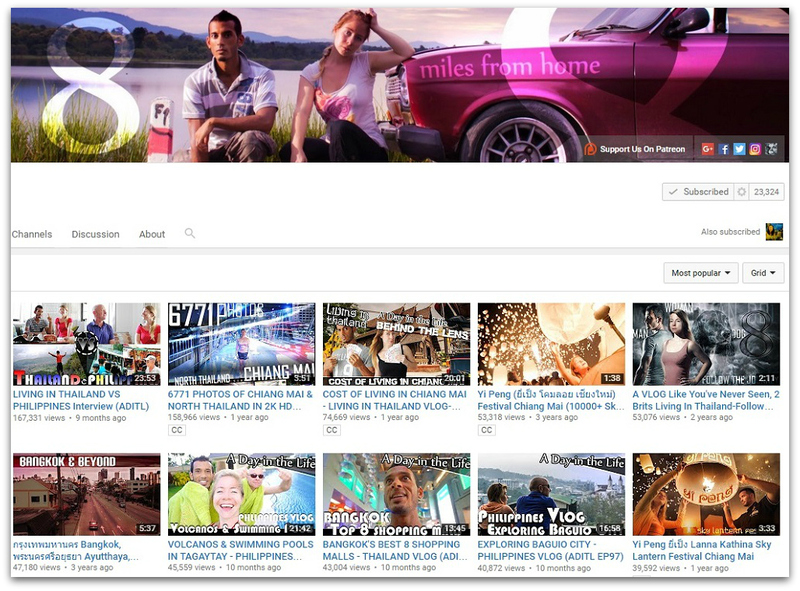 They're also foodie vegetarians and animal lovers, which gives them a few extra points on my favourite bloggers list. 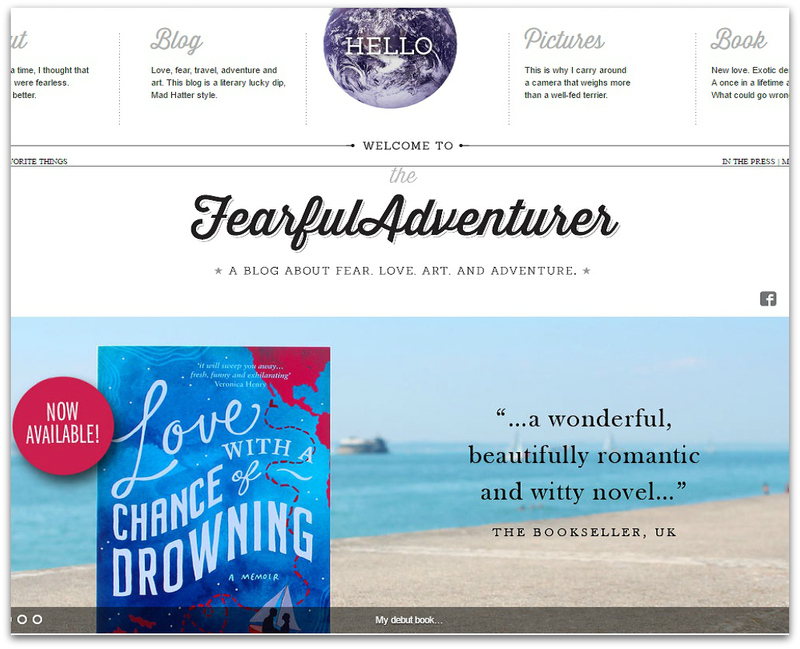 "A blog about fear. Love. Art. And adventure." When I stumbled upon Torre DeRoche's About page, I thought I was reading about myself, my mother, my friends, or any number of people I know very closely behind their personas. The woman worries, and potters about. She admits to failing, and being afraid. How rare! So of course I was hooked, on her and her effortless words (her memoir is called Love with a Chance of Drowning) and I am still in awe of her today. I urge every adventurer to go and be inspired by her beautiful writing and her breathtaking photographs. "Around the World, Low and Slow"
Wes Nations is not your typical twenty-something tanned backpacker wearing too many bracelets and starting a head-colony of festering dreadlocks. He's perpetually 39 years old and first came up with the idea of creating a 'travelling website' back in 1998, when blogs and wifi didn't even exist yet! He has now been an independent traveller documenting different countries through a beautiful lens and refreshing viewpoint for many years. I first discovered his blog when looking up yummy Thai food, and found myself drooling over posts like Chiang Mai's Cheap and Tasty Street Food, but now I check back to see what new places he's exploring and giggle at rare anecdotes like A Cranky Cheeseburger Dinner in Thailand. 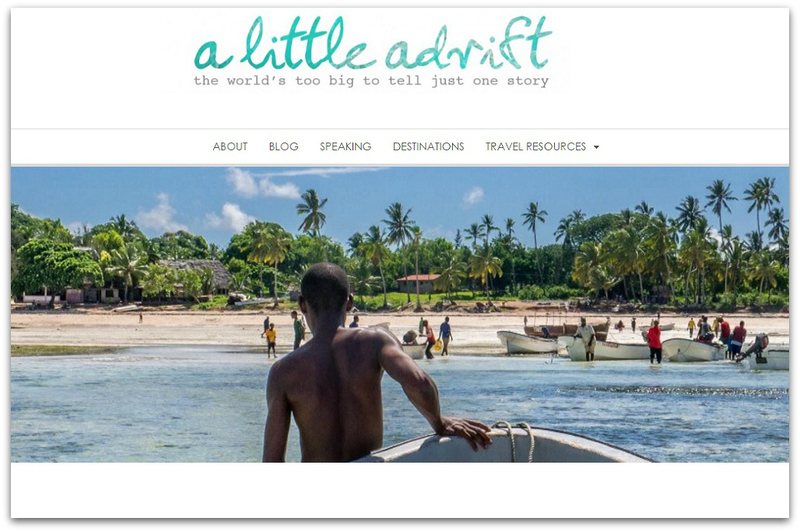 "The world's too big to tell just one story"
Shannon is not just a travel blogger, she's an inspiration and a role model for travellers everywhere. The way she travels is with a kindness and caution that is so needed in societies that normalize destructive travelling experiences, like going to full moon parties or riding elephants. Shannon is an activist traveller, and since she started travelling the world back in 2008, she has written a book about volunteering, been named Traveller of the Year by National Geographic, and has spoken to students at universities around the US about global citizenship. 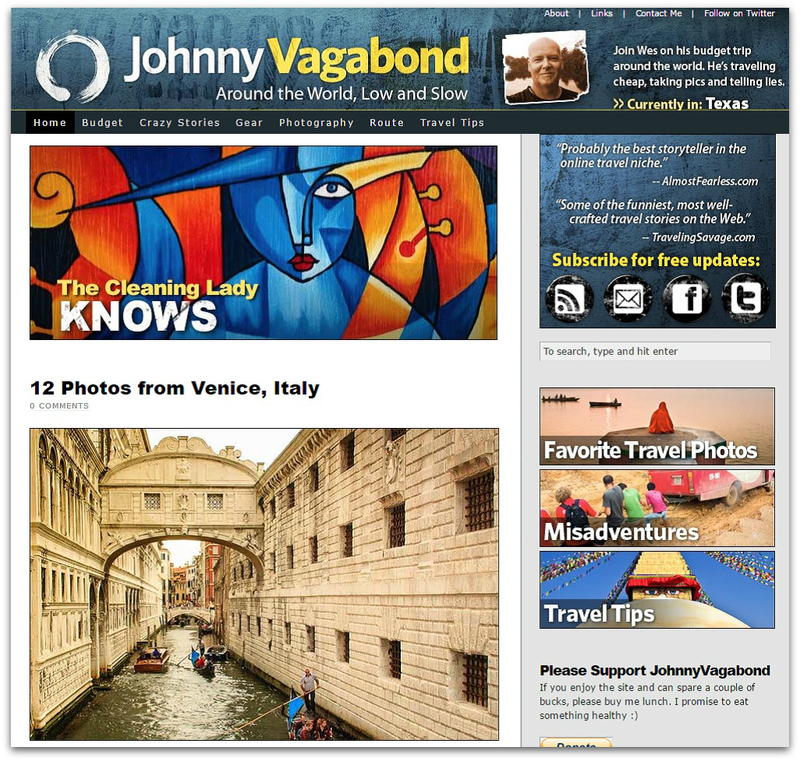 She calls her blog a community with one common belief: a life of travel creates a story of the world worth telling. How can you not love this woman? "A Man, a Woman and Dog living the expat life"
Sacha and Jmayel are high school sweethearts who became bored with their life in England and decided to move halfway across the world to Thailand with their adorable puppy in tow. Since then they've blown up in popularity, especially with avid Thai fans who follow their every move both on their blog and on their Youtube channel. This is where they post "cinematic travel videos" which are smooth, stylish, and entertaining. Besides being two of the most down-to-earth and friendly people I got to meet in Thailand, their dog Eden keeps the more dog-crazy portion of their readers very happy - she was even part of a Thai TV interview with her humans! "A couple who sold it all, paid off their debt, and left behind the nine-to-five." Chris and Angela were a typical "successful" American couple: they worked hard, earned good money and lived for the weekends. What began as a light-hearted joke about "retiring young" grew into something exciting that they could almost grasp within their reach. In 2013, they left their jobs, sold everything they owned, and bought two one-way tickets to a city in the mountains of Northern Thailand... on the other side of the globe. 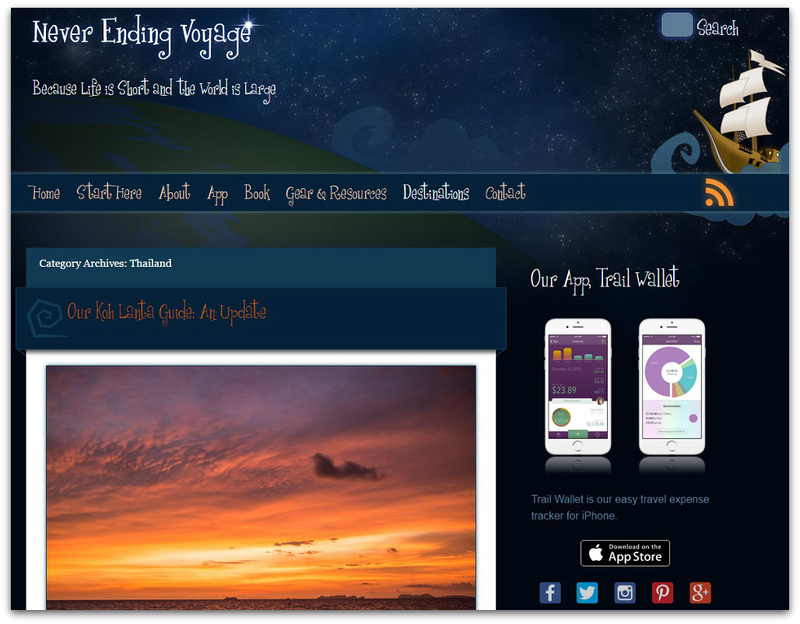 Now, their blog has grown into a powerful platform that inspires, informs, and empowers travellers who also want to leave their "normal" lives behind and live in Thailand. They are both lovely, genuine people who work hard to keep up with their blog, as well as their beautiful Instagram and Twitter feed. That's all I have for now! I hope you enjoy immersing yourselves in these fantastic reading corners of the internet. It's been a pleasure returning to my little blog for an update, and I hope to share something with you all very soon. 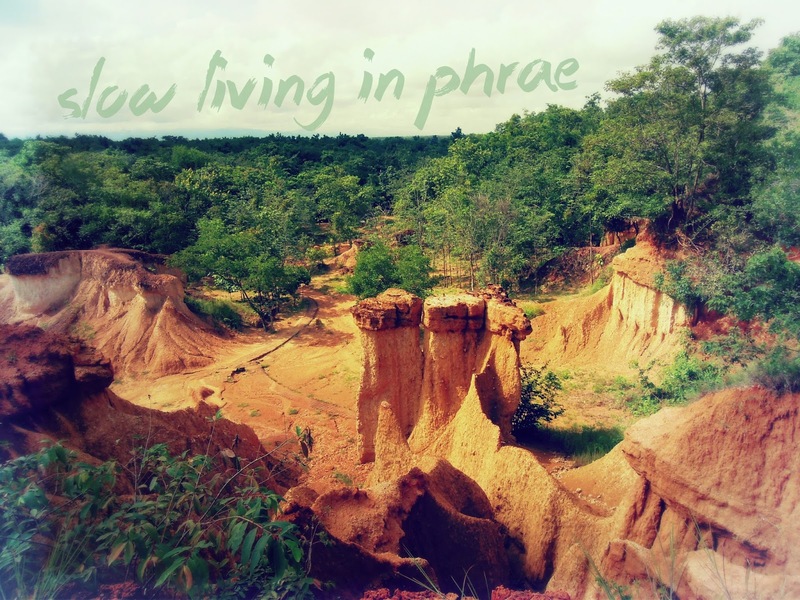 Phrae is a small town about 3-4 hours away from Chiang Mai by bus, with a reasonable cost of ฿180 for a return ticket. A while ago I joined a Dragonfly English Camp at a remote temple school there, but I decided to stay in Phrae for longer than just the two-day camp, so my partner in mischief could join me for a few days afterwards and have a countryside getaway. The first thing I noticed was the weather, because Phrae was a different sort of Northern place - it was significantly drier and more humid than Chiang Mai, with a landscape that was quite unfamiliar to what we'd explored already. The feel of the city was much more bare than busy Chiang Mai, and felt quite simple and uncluttered. The best part about our trip was that a short drive outside the city in any direction took you straight into middle-of-nowhere Northern Thailand. Perfect! This was the real highlight of the place; getting lost out on the open roads alongside lush rice paddies, mountainous backdrops, and long, winding highways to bigger, busier places than quaint old Phrae. As usual, everything I mention is marked on the map below, which you'll need as there is not much English to be found in this tourist-less little heaven. 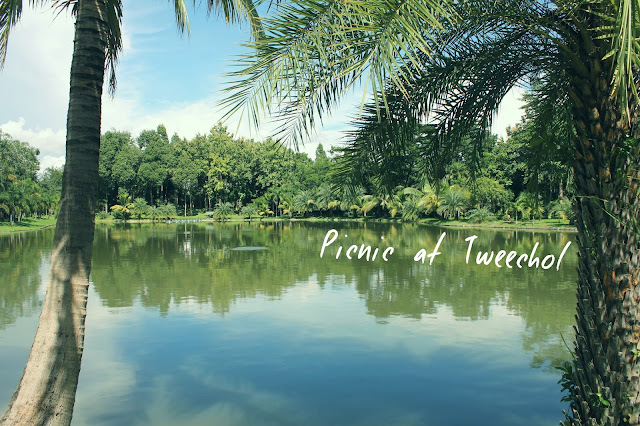 If you're a big fan of day trips and have already hit up Ob Khan National Park for some cold beers and a refreshing swim, or spent a hot afternoon overlooking Huay Tung Tao Lake with friends, then you would definitely enjoy a lazy Saturday or Sunday spent at Tweechol Botanic Gardens in Chiang Mai. This is the place I present my South East Asian world and its many trinkets. You can expect yummy food, extravagant temples, flea-ridden street dogs, interesting characters and, of course, too many adventures. Welcome to my Market of Eden.